Happy Valentine's Day from all the children in Room One. 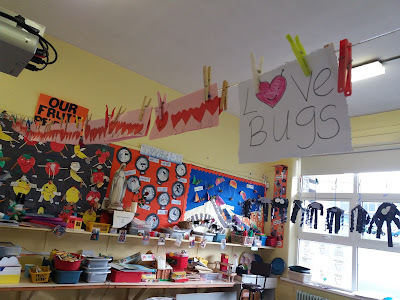 We really enjoyed telling teacher about how much love we have for our families and friends. 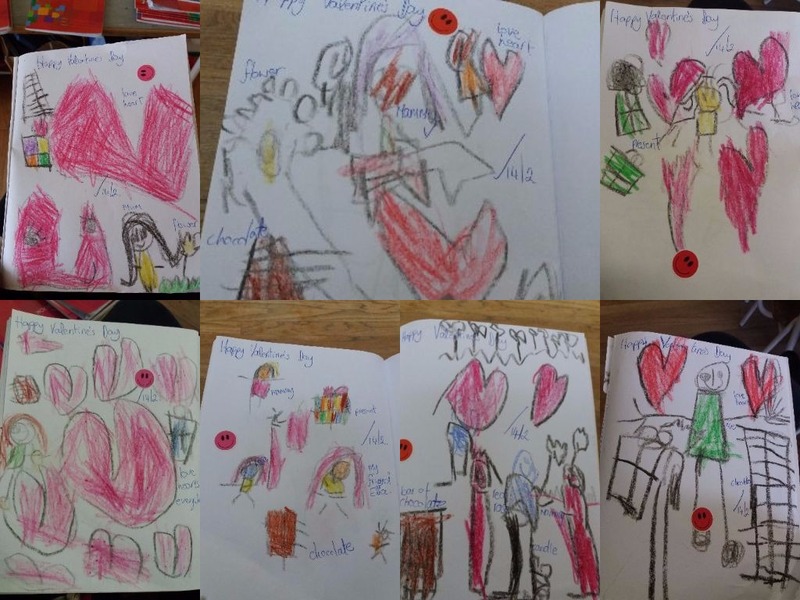 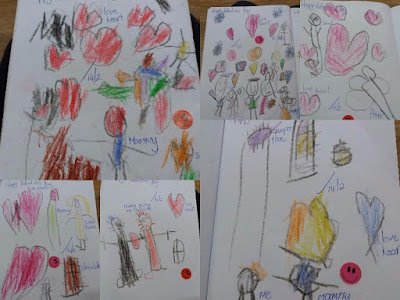 Here are some of the lovely pictures we drew-they included people we love, love hearts, presents, flowers...We also made 'love bugs' to show our mammies and daddies just how much we love them.